Merrie Old England used to spend Sunday afternoons the way we do now: enjoying sports. 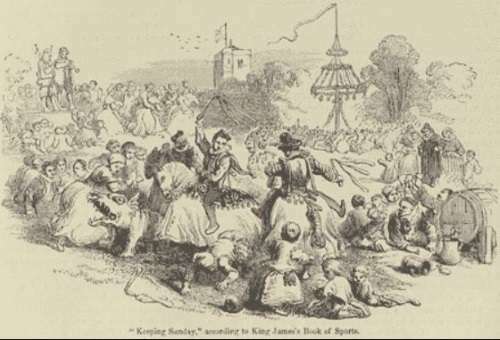 King James actually encouraged his subjects to play games and have fun after church. He even sent out a list of approved activities in a small volume called the Book of Sports. The Puritans hated the Book of Sports. But many of them did what the book suggested they do if they didn't go along with the king's commands. They left the country. In the late 16th century, the growing Puritan movement in England tried to ban sports on Sunday. The Parliament of 1584-85 passed a bill that forbade markets and fairs, bear-baiting, hunting, hawking and rowing barges during church services on Sunday. Queen Elizabeth, who advocated religious tolerance, vetoed the bill. Then in In 1595, a Puritan scholar wrote a book called the True Doctrine of the Sabbath that advocated the Sabbath be treated as a solemn day to meditate and attend meeting. Queen Elizabeth ordered it burned. When Elizabeth’s cousin James I ascended to the throne, he found the Puritans threatened his authority. In 1617-18, he went on a listening tour of England, and he heard complaints about Sunday. People worked all day from Monday through Saturday, and then had to spend all day Sunday at the Puritan services. That was a bit much for King James. So he issued the Book of Sports, formally known as the Declaration of Sports. It directed his subjects to attend Sunday services, but to spend Sunday afternoons enjoying life. “No lawful recreation shall be barred to our good people,” he wrote. Then James ordered the Book of Sports read in every church in England – every Church of England church, that is. Catholics who attended Mass and dissenters like the Puritans weren't to have fun on Sunday even if they wanted to. The Book of Sports allowed both men and women who attended church on Sunday to enjoy dancing. However, men only could engage in archery, leaping and vaulting. Additionally, James allowed women to carry rushes to church to decorate them in the traditional manner. But he banned some of the ‘meaner’ sports – the ones that encouraged gambling – including bear-baiting, bull-baiting and bowling. James died in 1625, and his son, Charles I, ordered the Book of Sports reissued and read in every church. If Puritan ministers didn’t go along with Charles’ religious decrees, his bishop would remove them from the pulpit and take away their licenses to preach. And so thousands of Puritans left for North America between 1620 and 1640. Eventually, of course, the Puritans took power in England and Charles lost his head. Many of the Puritans who left his repressive rule ended up returning to England. 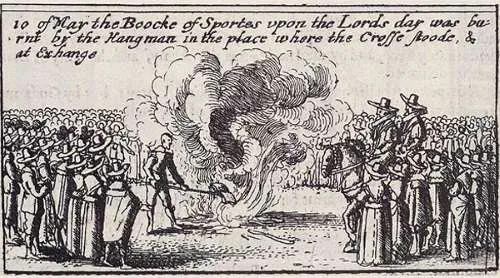 And in 1643, Puritans ordered the hangman to burn the Book of Sports on the common in London. The Puritans who remained in America, of course, kept a somber Sabbath filled with services at the meeting house. They treated Christmas as an ordinary work day. In 1621, Plymouth Colony's governor William Bradford famously stopped some non-Pilgrim newcomers from playing sports -- 'stoole ball and pitching the barr' -- on Christmas day. The Puritan sensibility over time loosened gradually, though not completely in New England. 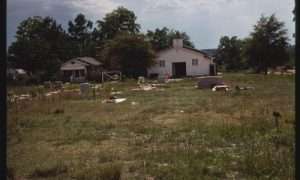 In 1756, John Adams wrote, "Let others waste their bloom of life at the card or billiard table among rakes and fools." With thanks to the William and Mary Dyer blog. When John Winthrop Jr. Doctored the Connecticut Colony. For Free.